Hear some essential works from the 60s and 70s by the predecessors of rappers and today’s dancehall artists. Who was the first DJ (dancehall deejay)? This is often debated and I’m not going to get into the argument, but I personally credit U-Roy as the DJ daddy. If Daddy U-Roy wasn’t the 1st, then he certainly had the earliest and largest impact with toasting (rapping) over previously recorded instrumentals in the live dancehall setting. Coxsone Dodd, among many other innovations to his credit, pioneered the recording and production of DJs at Studio One. 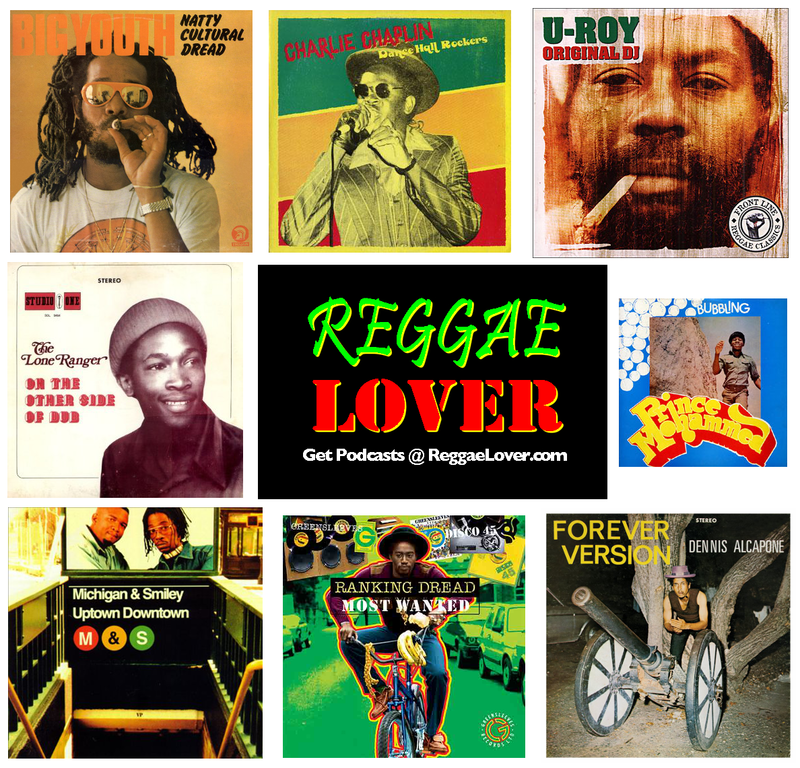 This mix merely touches upon some of this important dancehall history and I intend to thoroughly exhibit more of the talented foundation artists in future episodes of the Reggae Lover Podcast. There are too many DJs to name who rose to prominence by delivering rhymes over beats on the Jamaican music scene long before The Sugar Hill Gang‘s ‘Rapper’s Delight‘ was released in 1979 as the first ever rap record.